I am a 30 year old from Northern Ireland. I have just recently started back running after a two year break after losing the love of running, training continuously for months to attempt to reduce a 5/10km/HM PB by a few seconds. I have fallen in love with relaxed training; mountain/fell running that ultra-running gives me. I ran my first Ultra Marathon back in autumn 2017 – Causeway Coast 39.3m race. In 2018 I went on to run 2x50km, 2×39.3m, and 1x50m. I raced the Ben Nevis Ultra in 2018, loved the scenery and parts of the WHW I saw when driving to kinlochleven. I was tempted to run my first 100 in December 2018 but decided to hold off and get a little more training under my belt. 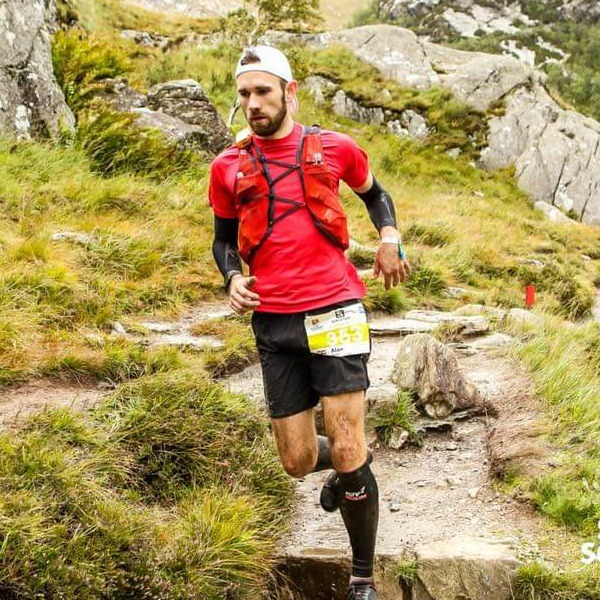 I then went on to read previous blogs from fellow Northern Irish runners from previous WHW races and thought it would be the perfect race for me, to suit my style of running, terrain and give me one hell of a challenge. It’s the middle of January and three weeks into training. In my head I have three targets: Target A – 19:59:59, Target B – 20-23hours, Target C – Finish. Having only come from 15month background in Ultra running and my longest race being 50miles, I will take these targets with a pinch of salt, enjoy the training, try to stay injury free and enjoy the experience.